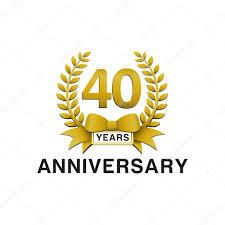 GRM Windows has grown to become one of South Wales most experienced and trusted fabricators of quality PVCu Windows, Doors, Panels and Conservatories to both trade and homeowners alike. GRM Windows was founded by Gareth Gambling, in 1979. Gareth’s son, Richard Gambling, joined the business in 1994 with the goal of taking the business forward in an ever changing marketplace. Today, our philosophy remains to supply high quality windows and doors to the Trade at a competitive price. To achieve this, we believe in delivering excellent personal service, outstanding aftercare, innovative product development and continuing to invest in top line machinery. Our factory, based in the heart of South Wales in the village of Pontyclun, has some of the most sophisticated manufacturing machinery available to the industry. This enables GRM to fabricate windows with fast turn-around, very accurately and efficiently. Our achievements are recognized within the industry. All designs of windows can be manufactured, including chamfered or sculptured frames and delivery is available nationwide. REHAU were one of the first companies in the UK to produce and sell uPVC Window systems and today one in seven uPVC Windows fitted in the UK are made from REHAU profile, making them the largest single producer of uPVC window and door systems. 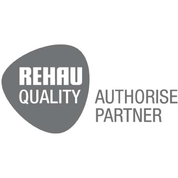 GRM's main system is the Rehau Total 70 internally glazed windows and doors and we are proud to be recognized as a Rehau Authorized Partner. The range includes the beautiful heritage vertical sliding window, the outstanding Rehau multi-folding doors and the innovative Agila triple track sliding patio door. You can add your text here.